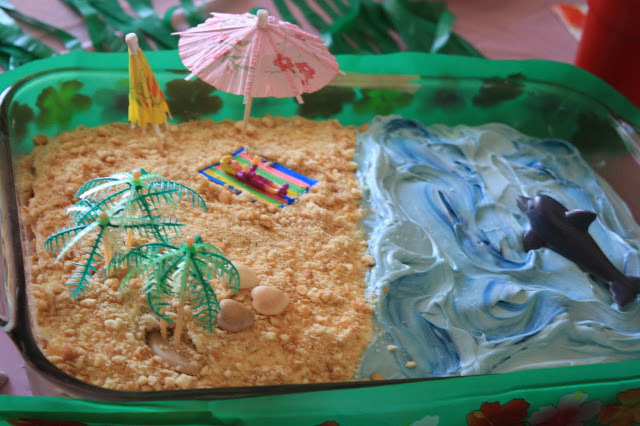 You are here: Home / Fun with Kids / Birthday Cake Ideas From a Regular Mom Who Tries Really Hard . 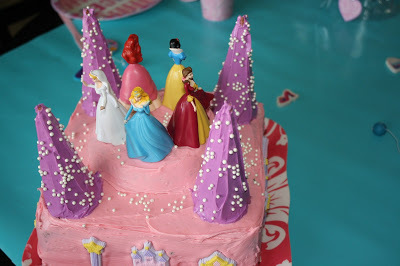 . .
Cake-making doesn’t have to be perfect. 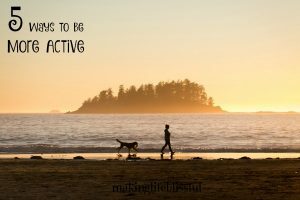 (Are you seeing a theme in this blog, yet?) 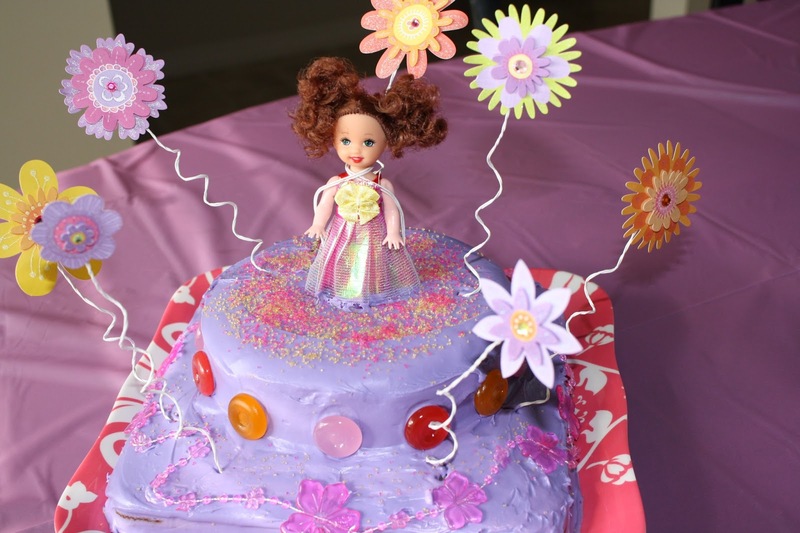 Children love their birthday cakes and they’ll love that you made it for them. 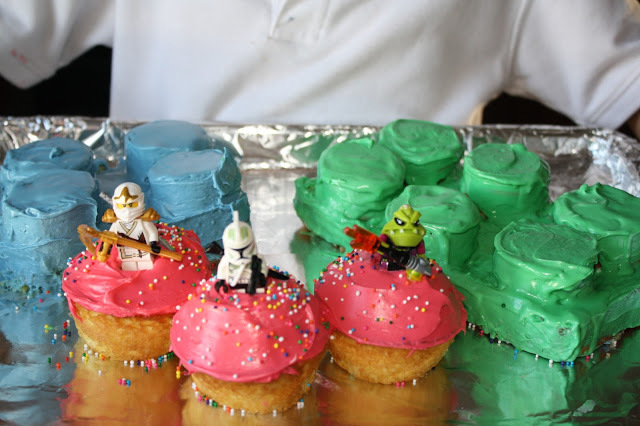 They don’t know what cake ideas have been posted on Pintrest. 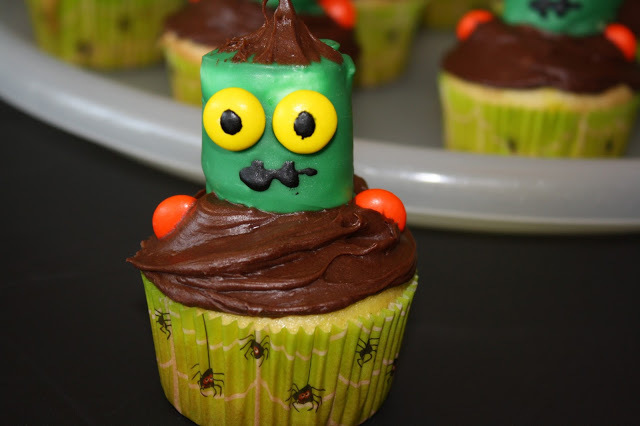 They just know you made a yummy, sugary, frosted, and decorated dessert just for their special day. I think sometimes we think that if we can’t do it like Cake Boss, then we shouldn’t even make a cake at all. Just because you can’t do something like a professional, doesn’t mean you can’t do it. Basically, I am saying, DON’T BE AFRAID TO TRY. 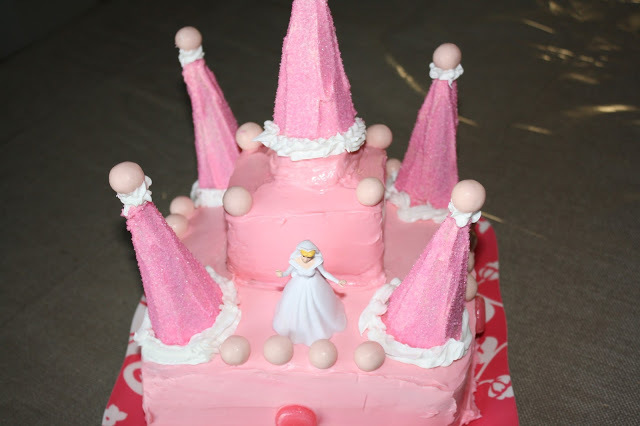 Princess Cake. Baby Girl helped with this one. 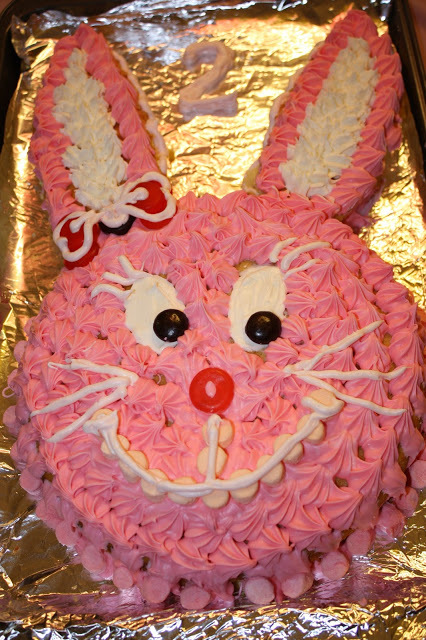 I remember that I loved watching my mother make my cake each year, knowing it was being created all because of me. So I wanted to pass that on. 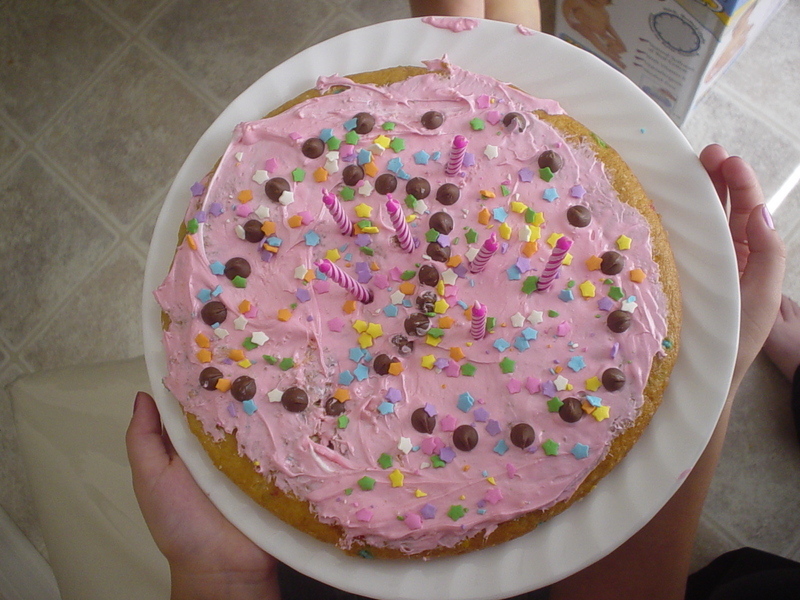 I’ve never taken a cake-decorating class. I only own a few baking and decorating tools. I have no special frosting recipe. But every year, my kidlets look forward to helping me plan their special cake. So here they are. Like ’em or not. I can take it. (And I’ll even understand if some of these pictures end up on Cake Wrecks–lol!) 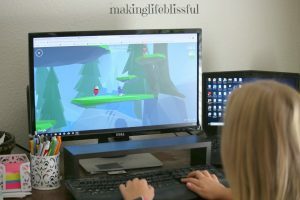 But no matter what I hope this makes you want to do something fun with your child and learn something new and DON’T BE AFRAID TO TRY. 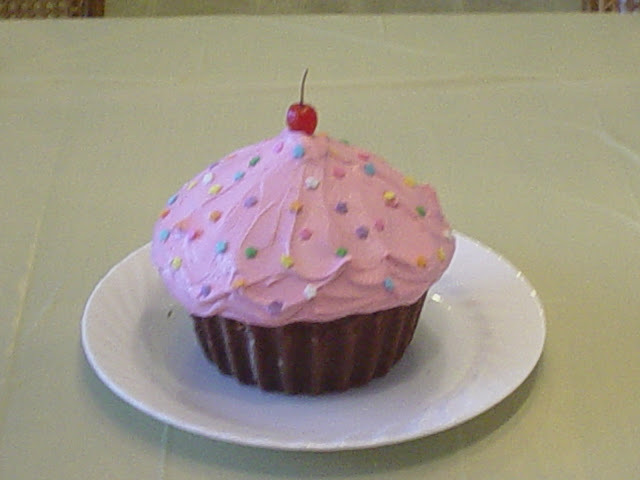 Big Cupcake from a mold that I borrowed. 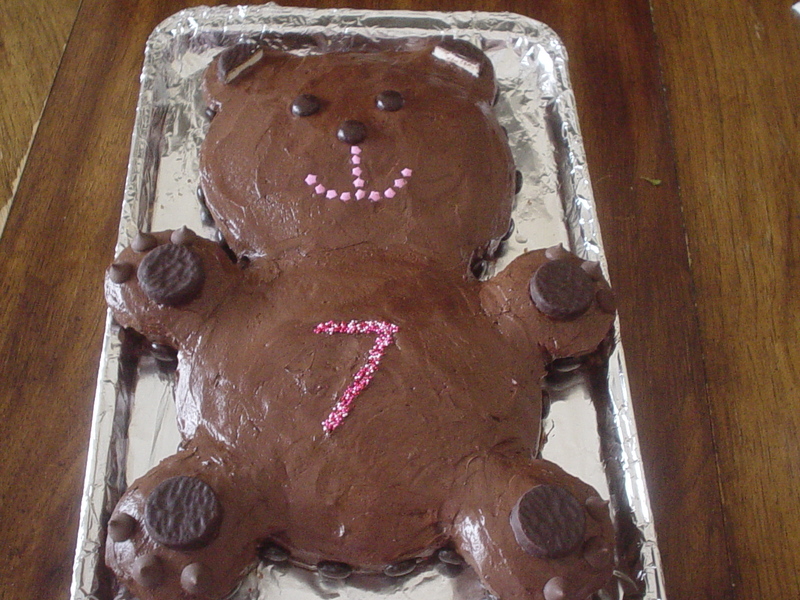 Teddy Bear Cake for our Teddy Bear Picnic Party, Two rounds plus some cupcakes. 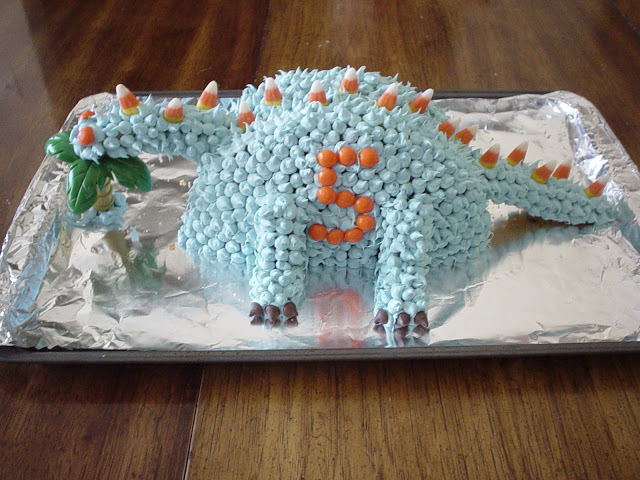 Dinosaur Cake. This one was hard. Got the idea from Family Fun. NEVER AGAIN! The Dino is eating the tree, because his head would NOT stay up! 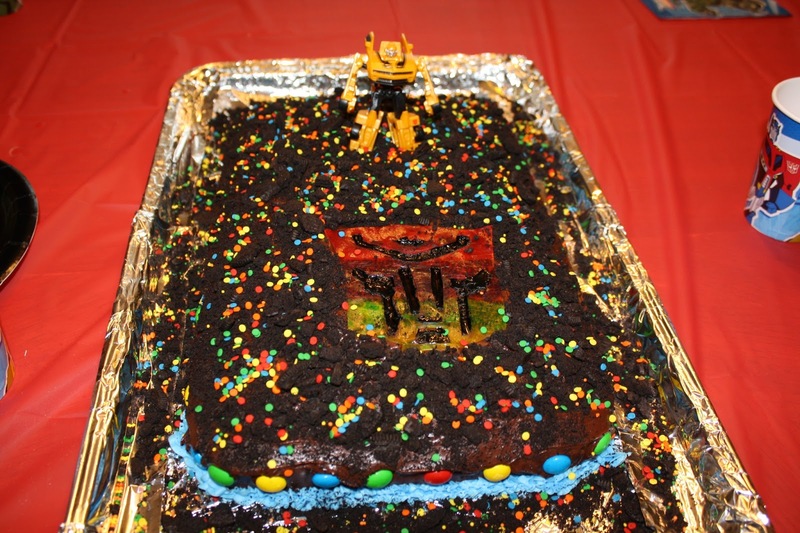 Transformers Cake. My idea to make the Autobot symbol with fruit roll-ups didn’t look quite as I hoped. But Little Son loved helping with this though. 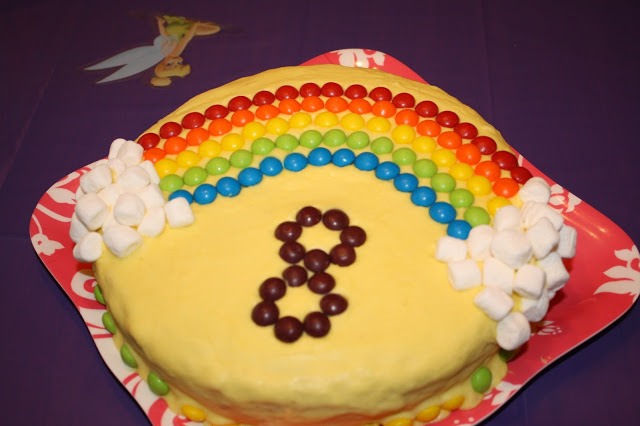 Rainbow Cake for Fairy theme. 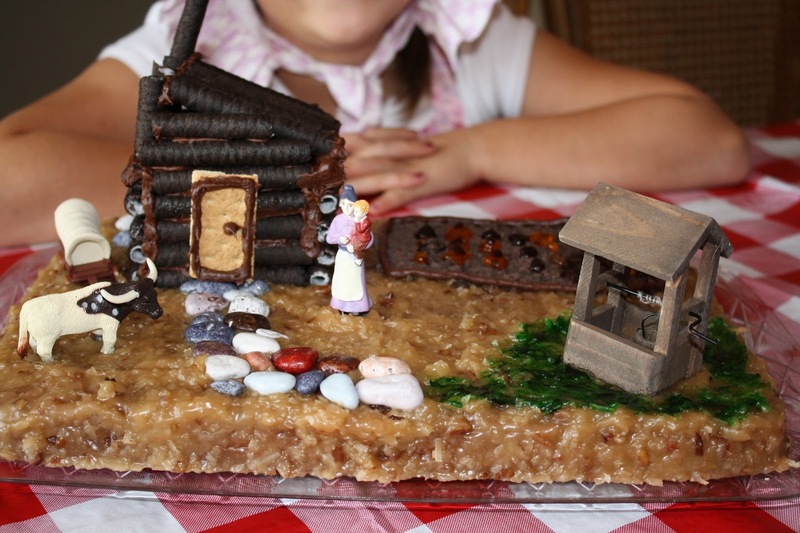 Little House on the Prairie Cake. From our Little House on the Prairie Party. Princess Cake. Found the idea to use ice cream cones from the internet. 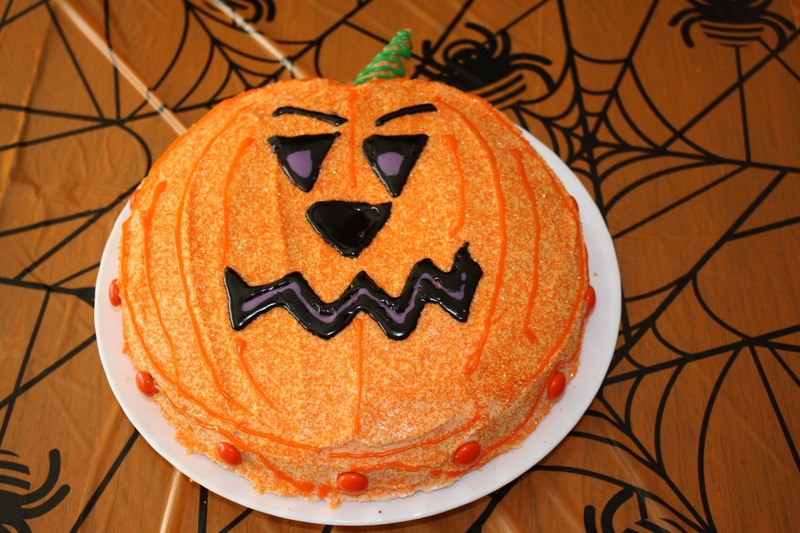 Halloween Cake. from our Halloween Party. 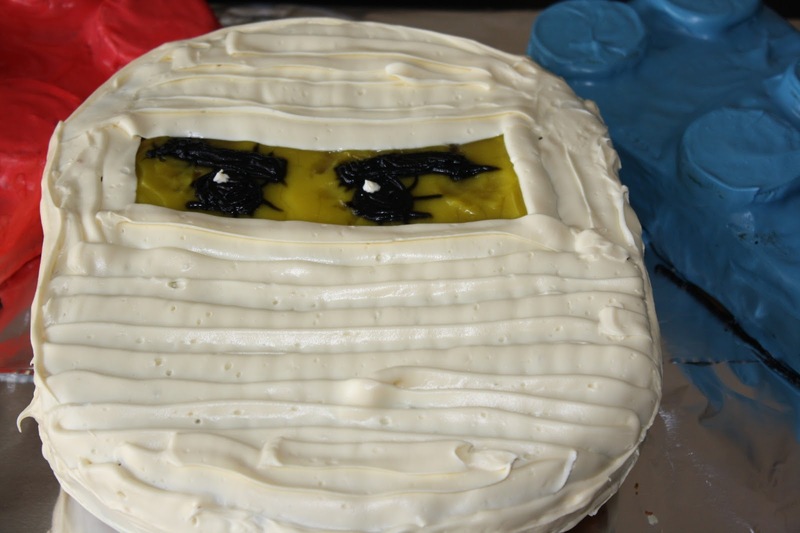 Lego Ninjago cake. They eyes kinda went wonky . . . but this was a favorite anyway. 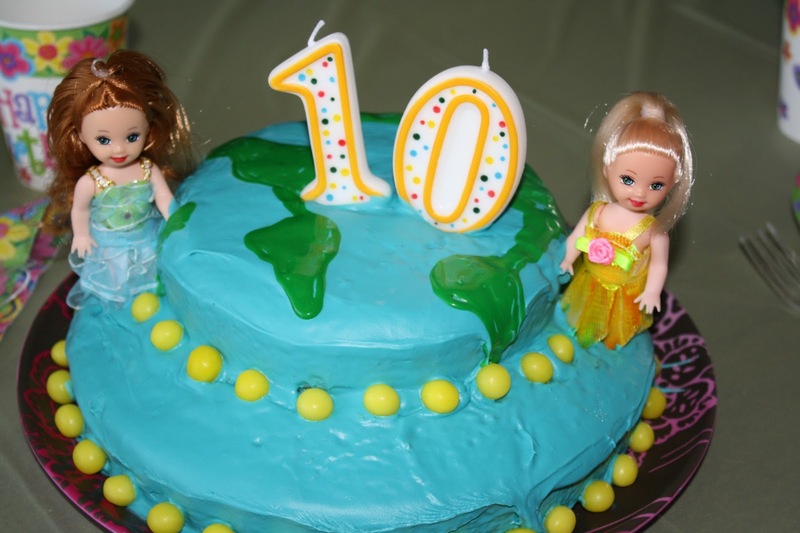 Sweet Tween’s idea–A Decade in the the World Cake. Fancy Nancy Cake. Lots of fuchsia. 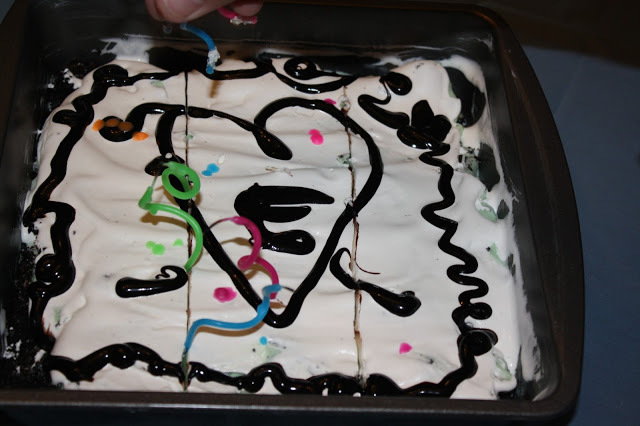 Some years when I don’t have a lot of time, I let the kidlets decorate their very own cake. Here’s a few results. They love it and they are so proud. Another Lego cake that Little Son and I worked on together. 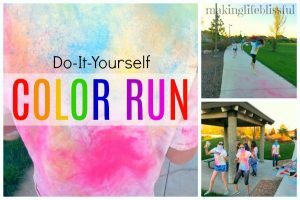 Please VOTE and help me!